Even my favorite colleagues can’t agree. 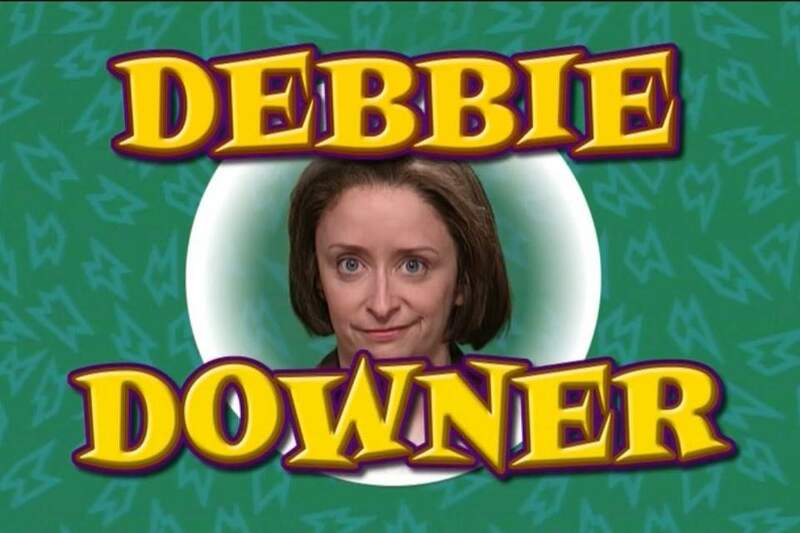 When you listen to conversations between energy economists about pretty much anything, it often feels like an episode of Debbie Downer. We find something wrong with everything – from energy efficiency policy to most carbon tax proposals. I find this highly annoying sometimes. Inspired by a discussion about community choice aggregators at the coveted Energy Institute lunch table the other day, I complained about this and challenged my colleagues to actually put down some intellectual stakes and tell us what an economist’s dream distribution utility of the future would look like. The energy sector is undergoing the possibly biggest transformation in the past 100 years and there is a lot of discussion about what institutions this brave new world would require. Some background. Pour yourself a fresh cup. The electricity sector is not only a marvel of engineering (I think it should be designated the 8th wonder of the world), but also of economics. Here is why. There are essentially three pieces that guarantee that electrons end up in your coffee maker when you need it. Generators make electrons from fossil fuels and renewable sources of energy at power plants (some of which are now located on your roof). “Transmission” gets the electrons from the plant into your broader neighborhood through a large network of wires (above and below ground). Distribution utilities connect short wires to the long ones that lead to your house, meter your electricity (and gas, which comes through a pipe) and bill you for it. Sounds simple right? It is not. First off, if you let one big utility operate all three branches in a reasonably sized area, and fail to regulate it, it will charge a really high price, and provide an inefficiently low amount of electricity/gas. This is the classical monopoly problem and the reason we have antitrust laws. The usual prescription– to break up the monopoly into more smaller firms– does not work here. The nature of the infrastructure (think transmission wires and the distribution lines running down your street) requires massive up front (fixed cost) investments that two firms competing would just have to duplicate. Hence, it is cheaper for society to have a single firm provide the service and force them to charge a lower price. Thus, we usually argue that you want a monopolist, but one that is not allowed to charge the very high price it wants to charge and has to produce the desired higher output level. This is essentially called rate of return regulation and agencies like the California Public Utilities Commission are charged with making sure that utilities do not charge inefficiently high prices. The reality is much more complex than the textbook. There are lots of generators that operate power plants and sell their electricity in a big market (the wholesale market). The cheapest electrons get sold first, then the second cheapest and so on. The last electron that gets sold is generated at a cost that the buyer of that electron is willing to pay. I am going to leave out the “thrilling” economics of transmission. Buy me three beers and I’ll explain them to you (or even better, talk to Jim Bushnell!). So, here is the pickle. In the old days, the carbon-free sources of electricity were a lot of hydro, some wind and nukes. These generators cost a lot to build and are very cheap to operate. The rest was provided by coal, gas and some oil. These plants were cheaper to build, but cost more money to operate, since you have to pay for coal, gas and oil. Wind and sun are free. In this brave new world we are walking into, we are going to get a lot more of the latter sources of energy – high up front fixed costs and extremely low operating costs. In the long run, if we figure out reasonable amounts of low cost storage, it is possible that we will have a lot of extremely cheap clean electricity. Yet this electricity supply is possibly going to be much more variable during the day and across seasons. Senior famous energy economist #1 argued very much in favor of a small utility type model. (S)he argued that a small local utility is much better at “getting to know” its customers and at providing locally tailored pricing and energy efficiency programs. (S)he recognized that you don’t want duplicate wires running down the street, but once you eliminate the obvious overlap inefficiency, there’s not much evidence that having one firm serve huge areas is helpful. Senior famous energy economist #2 argued very much in favor of one very large utility. The argument was a large utility through its size would be able to attract better talent, would be more effective at advocating for more efficient generation (less rooftop, more centralized solar for example), would be better at implementing large scale energy efficiency programs and would be able to offer innovative pricing structures in much the same way a smaller local CCA would. (S)he noted that many industries in today’s economy are dominated by very large companies, and we all benefit from their low costs and rapid innovation. 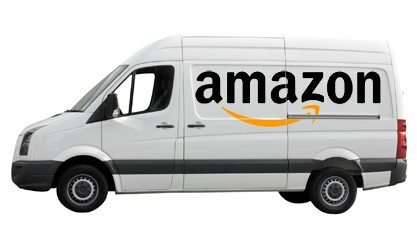 Why is almost every Californian happy to have Amazon deliver them everything from videos to cleaning products, but we all want a local, community-based electricity provider? This is a fascinating discussion to me and much is at stake. I have a number of questions without good answers at this point. At a larger scale there is a tension between possibly allowing retail choice (where you get to choose your distribution utility, which could be a local CCA, a CCA from another region or some other firm [mine would be called HammerTrons!]) and coordination of investment. There is a lively debate about how costly lack of perfect coordination is, with some arguing that the world will come to an end and others just shrugging their shoulders. Further, it is not clear how the regulatory planning process will affect our ability to coordinate – for better or worse. Overall, getting the institutions right for this brave new world is key. I have had similar discussions with utilities in Germany, France and North America. We have to get to work on figuring this out. There are a number of really smart young (and old) energy economists out there, who have a much better nitty gritty understanding of the issues involved, and should insert themselves into this important debate. I look forward to powering my iPhone XV using 100% properly priced green electrons. I am intrigued by what the utility selling me these will look like. A “distribution utility” typically combines two functions – distribution and retailing. Distribution is a natural monopoly. Retailing is not, even for a much smaller market such as New Zealand. One of the modes of NZ retail competition is the design of pricing systems. These and capable managers are selected through creative destruction. In Hawaii, our unnatural monopoly packs its administration with friends, relatives, and beautiful people, thereby illustrating that overcapitalization is not the only problem with regulated prices. P.S. Vernon Smith (1979) notes that the common observation of parallel transmission towers suggests that economies-of-scale have already been exhausted in large economies. Here in the Philippines, the marginal costs of transmission are increasing. You do the land-based transmission first and then move to the more expensive proposition of connecting islands. But I will gladly buy you any number of beers to hear the rest of the story. This is a very important point. Unfortunately, I did not address it in my earlier comment. The independent distribution system operator concept I described provides for real-time locational price signals at each retail customer’s meter. However, third-party retail suppliers will be free to offer all types of innovative rate designs to their retail customers through contracts. In effect, the retail supplier buys for the energy the customer consumers and pays the real-time prices at the customers meter. In return the customer pays the supplier for that energy through his contract with the supplier. The retail supplier can also include other types of innovative services in his contract offerings. There recently were 12 retailers serving the Wellington, NZ, district of 300,000 people but only one distributor. The Electricity Authority works to assure that switching retailers is fast and painless. I’ve thought about this problem for several years and have concluded the following. As long as we rely on distribution systems to deliver energy to the final end-use customers there will be a need for a monopoly system operator responsible for ensuring that the system is operated in a safe, reliable and efficient manner. This will include the determination of economically efficient price signals for buying and selling electric energy at each connection point on the system for each pricing interval (ideally at 5-minute intervals that ISOs use for price determination). The system operator will need to determine these prices and send out the price signals to each customer’s meter. The system operator will need to ensure that none of the distribution system’s operating constraints are violated, using some combination of scarcity pricing and physical load interruption. The issue of whether these functions are best done by a large entity or a small, local community entity is really one of cost, i.e., at what size do economies of scale and scope begin to run out. Maybe suspect that the typical local CCA will not be able to provide these operational services at a reasonable cost to its customers – particularly the dynamic pricing function, which will require substantial computer resources and sophisticated short-term forecasting and pricing algorithms. Of course, the distribution system operator will need to be regulated, much like ISOs are regulated today, and will have no ownership or financial interest in the distribution system assets. Anyway, that’s my vision of the future. I find your use of the term “distribution utility” confusing. I think of a distribution utility as the entity that owns and operates the distribution system, i.e., the relatively low voltage parts of the grid that connect end use customers. CCAs are not distrbution utilities and many of the functions that you describe, e.g., rate design and administering energy efficiency programs, have nothing to do with operating the distribution grid. In fact, CCA customers continue to take distribution service from a separate distribution utility (PG&E in most of Northern California). As the title suggests, the post is really about retail competition? Actually CCA’s are energy suppliers–NOT the distribution system, which for Alameda County/East Bay Clean Energy (EBCE) will still be PG&E. However the broader point you raise about the benefits of more local, accountable, and nimble energy providers are central. 1) CCA’s are able to construct local medium to large scale renewables (such as Marin Clean Energy’s solar installation on brownfields in Richmond). EBCE has a well thought out process for building an investment fund for procuring local distributed energy resources (DER’s). 2) Local resources such as those procured by CCA’s can benefit from shorter lead times and decreasing costs of batteries–eg PG&E is currently partnering with EBCE to replace Oakland fossil fuel generation with 20 to 45 megawatts of clean energy resources such as renewable generation, energy storage and energy efficiency. 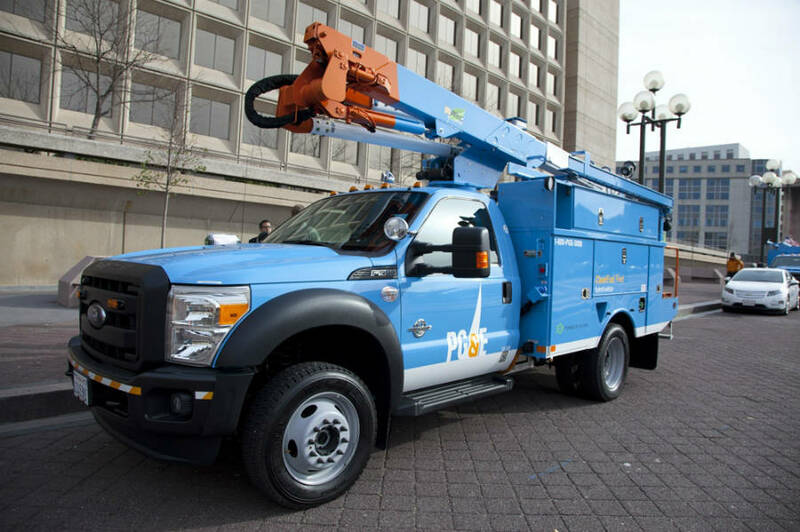 3) CCA’s such as Sonoma Clean Power are ahead of PG&E in piloting innovative interactive grid technology to help manage load with incentives for consumers to permit grid control of electric vehicles charging, heat pump water heaters and space heating. 4) Finally, any economist comparing local power options to utility scale remote generation MUST include costs of long distance transmission, current and proposed. Currently the Transmission Access Charge (TAC) is levied at the customer access point, so energy from local distributed generation is inappropriately charged an additional $ .02 to .03 per kWh. This is NOT a minor cost–for example, the 2017-2018 CAISO Transmission Plan cancelled or modified projects to avoid $2.6 billion in future costs, due to increased energy efficiency and DER’s. No quite true. The energy is “supplied” (i.e., physically delivered) to the retail customer’s meter by the distribution utility. The CCA merely pays for the energy and collects its costs from its retail customers. The problem today is that the prices the CCA pays are not economically efficient because they do not account for the customer’s location on the distribution system. Thus, the distribution system losses each individual customer imposes are averaged out over all customers. The distribution system operator concept I described earlier would produce prices at each meter that reflect the marginal cost of serving that customer at that location in each metering interval (ideally each 5-minutes to parallel the wholesale spot prices). I really enjoyed reading this piece! This is so relevant to China, which is designing electricity market reform currently. Hopefully the right way to do it could be identified soon and communicated wisely. Your discussion does not cover the technology improvements that changed the scale economies of generation. The industry has gone from 1000 MW stream turbines to 500-600 combined cycle gas turbines, that are now having problems competing with 100 MW combustion turbines, as the need for short term ramping replaces baseload plants. Of course, wind and solar plateau at about 5 MWs. These trends remove some of the incentive for supporting large central utility with the resources to build a large plant and the transmission to bring the plants output to load. This is the heart of the problem. What IOUs do is attempt to maximize the value of the shares, NOT maximize profits with high prices. This is the fundamental error of marginalist pricing, which looks to deal with maximizing profits while IOUs are maximizing something else — shareholder value, i.e. the price of shares on the stock market. IOUs, like most other businesses want to GROW. So they price accordingly. And they DISCRIMINATE among customers. IOUs must discriminate to cover overhead costs. Lots to talk about at lunch. In a truly competitive market-based pricing environment the retail supplier does not have the discretion to discriminate because competition from other retail suppliers will drive down prices to close to their marginal costs. The only scope for discrimination is in how the network costs are recovered, which is a regulatory issue. Actually, as local generation gets cheap enough to allow retail customers to go off-grid, even the network will lose its ability to monopoly price and thus discriminate. When that occurs there will be little left for regulators to regulate. This is a good thing because many (maybe most) regulators are either incompetent or are politically motivated to subsidize their pet projects (e.g., renewables, energy efficiency, distributed generation, low income households, etc). I am no unsympathetic to the plight of low income households. I just think they should be subsidized through income tax revenues – not by distorting the electricity markets. And California is the poster child for such distortion. It never ceases to amaze me that economists who are expert in electricity go on about “electrons” doing this or that. Electrons are the carrier of electrical charge, they don’t get “traded” or make tea. The charge moves at the speed of light. There is no “retail” electricity; it’s a property right. Electricity is much more like a public good so creating property rights just creates rents. Those who are interested may find my recent book, Electric Vultures Selling Bottled Lightning, worth a read. Electricity is a public good? Since when? 1. It is non-excludable, i.e., it is impossible to selectively exclude people from consuming it (e.g., watching the sun set). 2. It is non-rivalrous, i.e., when a person consumes the good it does not prevent any else from also consuming the good – it is not zero-sum. So are you claiming we can’t control how much electricity any single person consumes? Also, are you claiming that the supply of electricity is unlimited at any given time? (I was going to say “infinite” but that’s a big number). I hope you book is more lucid than the comments you submitted here. Energy Institute Blog How Local Should Your Energy Retailer Be?